Last night and today I worked on the second row of the Rockin Robin Quilt Along. I love my Ty Pennington fabrics and using the gray as the background. I love the way stars look in a quilt but really do not like making them...triangles and all. This is such a fun quilt and each Monday I can hardly wait to open my Google Reader to see what the plan is for the next row. Melissa Stramel designed this row and gave options for three different size stars. I choose to make the two largest sizes and hopefully you like it as much as I do. I think the quilt almost looks like stained glass. Here is how the first two rows look so far. 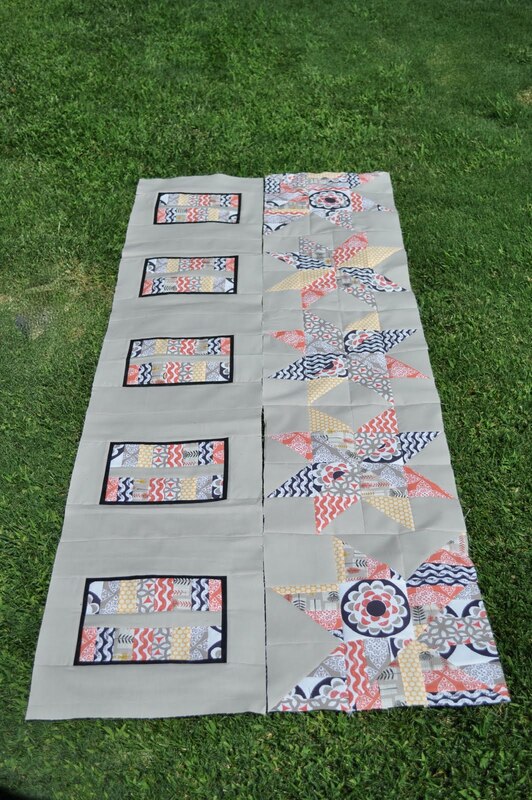 This looks such a fun Quilt Along and I am joining in the anticipation along with you. Your quilt is going to look so lovely. This quilt is really beautiful...love this new row! I love it! Thanks so much for quilting along with us. All of our quilts looks so different.